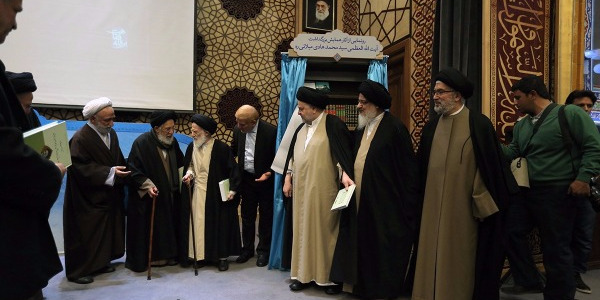 This conference was set up in memory of Grand Ayatollah Seyed Mohammad Hadi Hosseini Milani. It was held in Qum, Iran and the event included lectures by great scholars such as Grand Ayatollah Subhani, Ayatollah Ustadi and Ayatollah S.F Milani, each covering variety of aspects of late Ayatollah Milani’s life and his achievements. A book collection of 20 volumes in Arabic was presented in the conference and seven volumes in Farsi. Many guest from various cities of Iran in addition to Professor S.F Milani who travelled from UK to participate in the conference. When HE Grand Ayatollad Vahid Khorasani was asked about Ayatollah Milani, he said, Ayatollah Milani was undiscovered Jewel. He added that Ayatollah Milani was unique in his accomplishments. Also on the day, the official international start-up of one of the major technological projects by Al Milani foundation called (iShia) took place. iShia covers smart apps providing researchers, youth and kids with multi-platform facilities.